I like to wear sarees to work, been doing so for years now. 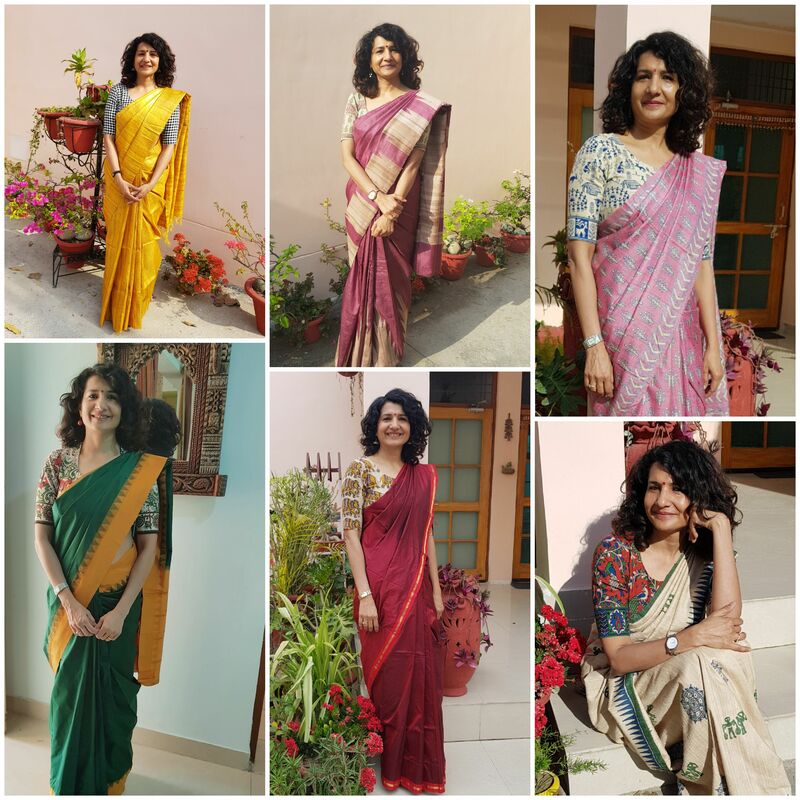 My initiation in to sarees happened way back in medical college days, having studied down south, I had lots of girls in my college who wore sarees on daily basis!! I started by wearing sarees on occasional Saturday and some or the other friend would always be around to help me tie it properly.